Your cultural itinerary includes sights like Art Gallery of Ballarat and Castlemaine Diggings National Heritage Park. Popular historic sites such as Cape Schanck Lighthouse and The Rip are in your itinerary. Change things up with these side-trips from Melbourne: Hepburn Lagoon - Trail Rides (in Hepburn Springs), Ballarat Botanical Gardens (in Ballarat) and St Augustine's Church (in Creswick). 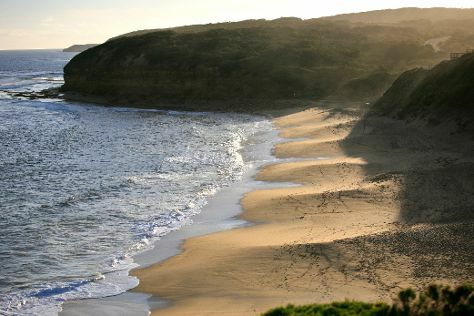 Spend the 4th (Sun) exploring nature at Point Nepean National Park. Next up on the itinerary: kick back and relax at Bells Beach, do a tasting at Passing Clouds Winery, see some colorful creatures with a scuba or snorkeling tour, and look for all kinds of wild species at Moonlit Sanctuary Wildlife Conservation Park. For reviews, ratings, where to stay, and tourist information, read Melbourne online trip itinerary builder . If you are flying in from Singapore, the closest major airport is Melbourne International Airport. In August, daytime highs in Melbourne are 16°C, while nighttime lows are 6°C. Finish up your sightseeing early on the 11th (Sun) so you can go by car to Port Campbell. Port Campbell is a coastal town in Victoria, Australia. Kick off your visit on the 12th (Mon): delve into the lush surroundings at The Redwoods and then take in the dramatic scenery at Hopetoun Falls. On the next day, take in the dramatic natural features at The Razorback, head outdoors with The Arch, and then contemplate the waterfront views at Bay of Martyrs. To see reviews, where to stay, more things to do, and tourist information, use the Port Campbell trip itinerary builder . You can drive from Melbourne to Port Campbell in 3.5 hours. Alternatively, you can do a combination of flight and bus; or do a combination of train and bus. On the 14th (Wed), wrap the sightseeing up by early afternoon so you can drive back home.